The Ideas that Matter program sponsored by the Sappi Paper Company, recognizes and supports designers who partner with organizations to bring ideas to life. 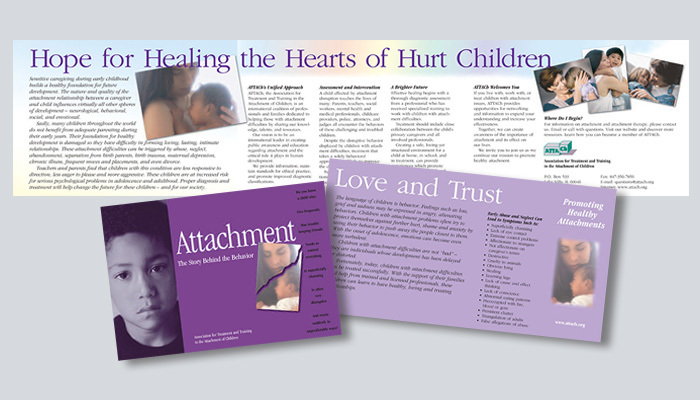 On behalf of Attach, the Association for Training on Trauma and Attachment in Children, I submitted a proposal for a brochure that would bring awareness on the impact of trauma on children to school counselors. I was thrilled to be one of the designers in the United States chosen to receive a grant for the photos, printing, and distribution of 13,000 brochures. 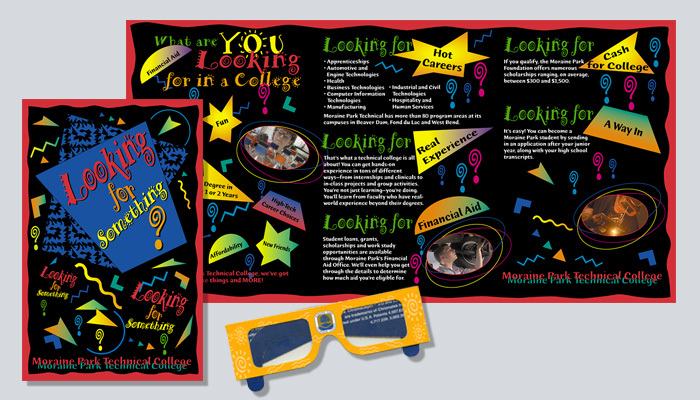 I worked with Moraine Park Technical College on a brochure that would appeal to high school students. The impact of the graphics when viewed with 3-D glasses was very engaging, especially for the target audience of teenagers. 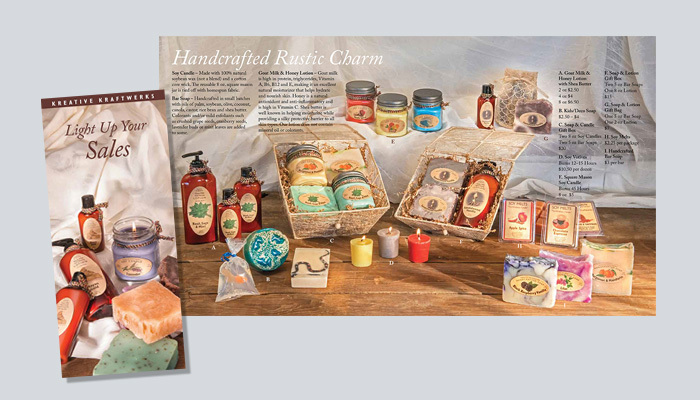 This is one of two brochures designed for Kreative Kraftwerks, a local company that makes candles, soaps, and lotions for wholesale distribution and fundraisers. I believe we effectively showed the beauty and variety of the home-crafted products. In addition to design, layout, and production, it was a pleasure to work again with photographer Craig Augustine. 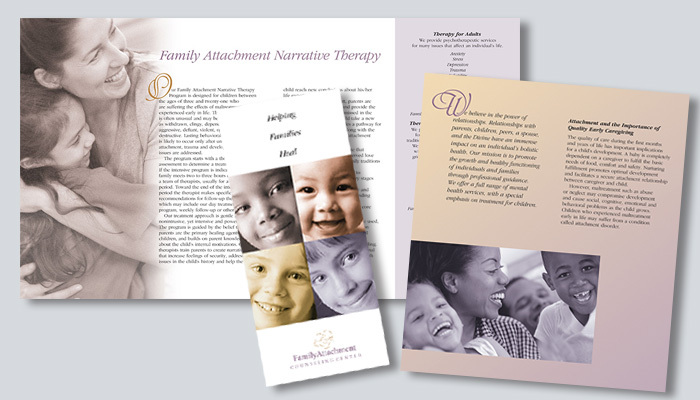 I designed collateral materials for this client who works with families whose children have experienced trauma. Accompanying this four-panel brochure were a DVD cover and print advertising.